We just wanted to take this time to officially say how relieved we are that all 15 people injured in this awful act of crime have been released from the hospital. Words cannot express how our hearts go out to those families. We wish them a speedy recovery. We would like to commend and thank all the amazing first responders who were on site within minutes of our initial call to 911 who took such care of our dear customers. The outpouring of love and solidarity, not only from Mississauga and the GTA, but from all over the world has been overwhelming. We truly appreciate all the support and well wishes received from our customers, friends and neighbours during this difficult time. We have been serving our customers for over 30 years and will do so for another 30 years in the great city of Mississauga. We are fully cooperating with the police during their investigation at this time as we have no knowledge of motivation for this terrible incident. We will continue to keep you updated as information becomes available. 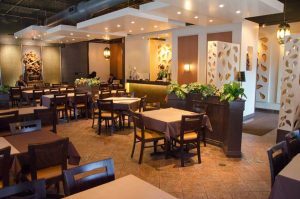 Including staff and guest, there were approximately 40 people in the restaurant at the time of the explosion. The number of victims in this incident that were injured during this incident remains at fifteen, and all have been released from hospital. 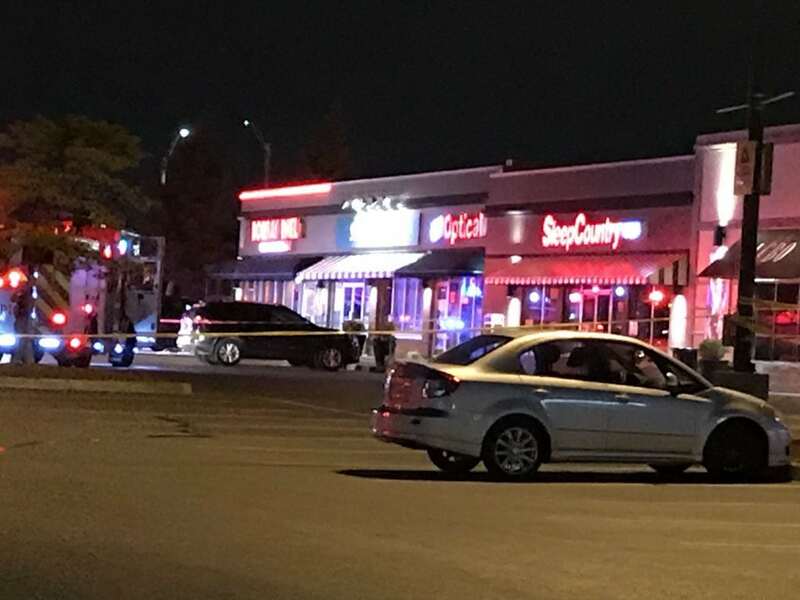 Our forensic identification services unit has completed the processing of the outside area, the scene which is reduced to the restaurant is being contained and will remain closed. All other businesses in the neighbouring buildings have been released to the owners, and they are free to determine if their businesses are suitable for regular business. There have been no reports of any neighbouring building or stores being impacted by the blast, however the owners may require further assessment to be certain. There is no further information on suspects at this time. Motive is still unknown, and the investigation is ongoing. 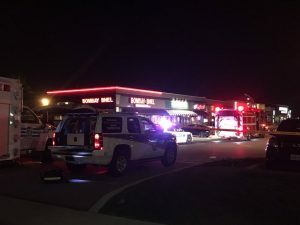 Police say there were two separate birthday parties going on inside the restaurant. Children under age 10 were at the parties, but they were not injured. The three people that suffered critical injuries were in stable condition. 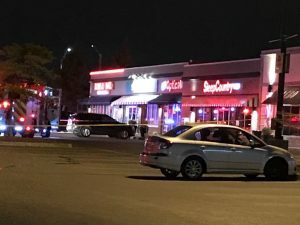 They were a 35-year old Brampton man, a 62-year old Mississauga woman, and a 48-year old Mississauga woman and were transported to Sunnybrook Hospital in Toronto. The others, who range in age from 23 to 69 years, suffered minor injuries and were treated at local hospitals and released. The restaurant had been placed under lockdown to carry out a proper investigation. 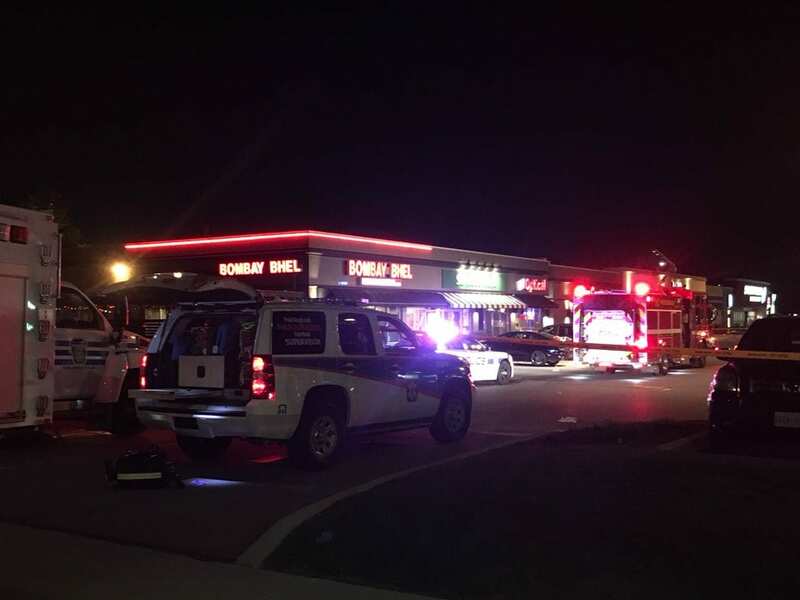 There was a considerable amount of damage to the restaurant, but police could not say where exactly the blast occurred at this stage of the investigation. Peel Regional Police have notified notified police in Toronto, York, Durham and Halton regions and the Ontario Provincial Police and the RCMP. Anyone with information regarding this incident is asked to contact investigators at 12 Division Criminal Investigation Bureau at (905) 453-2121, ext. 1233. Information may also be left anonymously by calling Peel Crime Stoppers at 1-800-222-TIPS (8477), or by visiting www.peelpolice.ca. PEEL Regional Police are looking for two suspects who fled immediately after detonating an Improvised Explosive Device in a restaurant in Mississauga, Ontario, around 10:30 p.m. ET on Thursday. The restaurant is Bombay Bhel at 5035 Hurontario Street at Eglinton Avenue East. 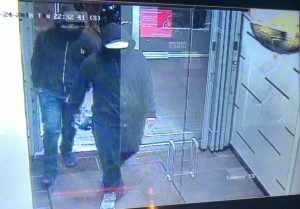 According to police, “1st described as male, 5’10-6 feet, stocky build, mid-20s, light skin, wearing dark blue jeans, dark zip up hoodie pulled over head, baseball cap with light grey peak, face covered with black cloth material.